In April, the Oakland-based East Bay Shared Solar Collaborative was awarded a $10 thousand technical assistance grant by the U.S. Department of Energy. Local Clean Energy Alliance convened the East Bay Shared Solar Collaborative in partnership with other community organizations and advocates* to advance the development of community owned and controlled shared solar energy projects to further grassroots economic empowerment, advance social equity, and promote community resilience. The Shared Solar Collaborative intends to develop a community shared solar program for East Bay Community Energy, Alameda County’s new Community Choice energy program, that enables renters to benefit from solar by buying a share in a nearby facility. It is also working on a demonstration shared solar project ultimately owned and controlled by low-income community members in Oakland. 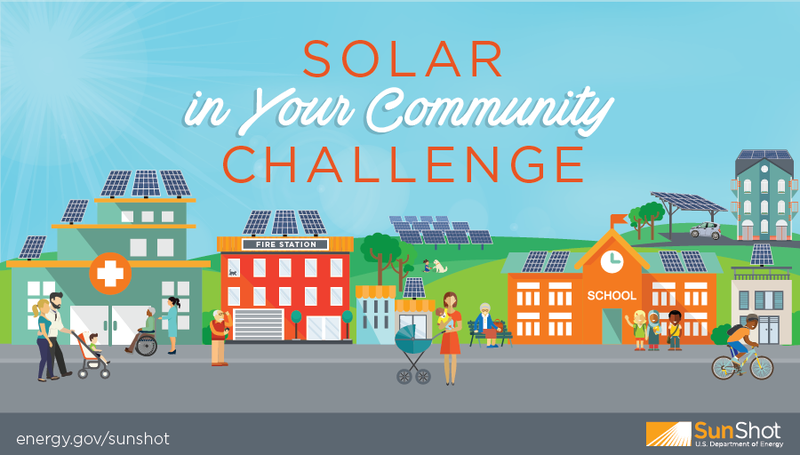 The award was part of the U.S. Department of Energy SunShot Initiative’s Solar in Your Community Challenge, a $5 million prize competition that aims to expand solar electricity access.